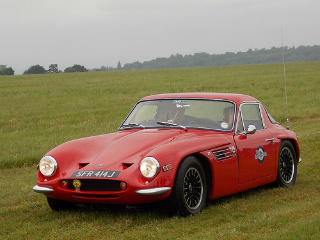 In October 1968, the TVR Vixen Series 2 sports car was introduced. Although, mechanically, very similar to that of the Series 1, the most important feature related to the chassis, due to the fact that the longer 90 inch wheelbase was increased from 7 foot 1.5 inches in the Series 1 to 7 foot 6 inches. This new stretched chassis was originally developed for the wide bodied Tuscan V8 SE variant. However, the benefit of this, in terms of the Vixen, was that it provided greater comfort in the cockpit area. 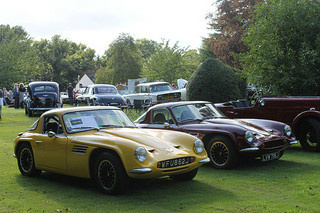 This resulted from the fact that the doors were now larger, and provided greater access for entering and leaving the car, which was a serious negative factor in previous TVR models. 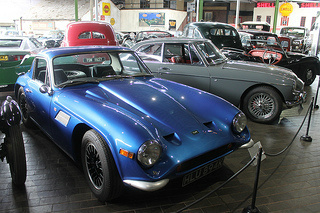 The Series 2 was the first TVR model in which the fibreglass body was bolted to the chassis, unlike previous variants in which the two were bonded by means of strips of glassfibre. 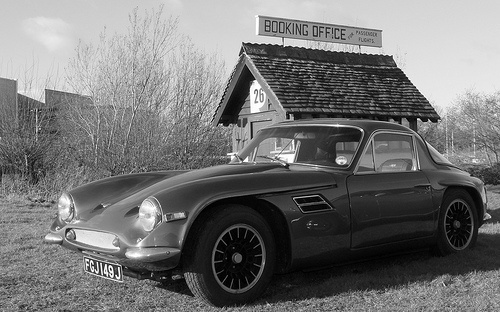 The benefit of this form of construction was that it made repairs, in the event of accident or damage to the body, so much easier, which is reflected in the fact that pre 1968 TVR's tended to be somewhat of a rarity. The Series 2 was powered by the same engine as used in the Series 1 and, with a compression ratio of 9.0:1, it developed 88 bhp at 5400 rpm, and 96 ft/lbs of torque at 3600 rpm. 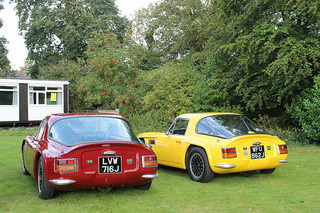 By the end of 1970, when production ended, sales of the Vixen Series 2 had reached 438 units. 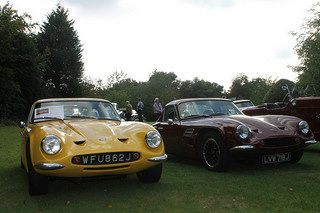 In 1970, the Vixen Series 3 sports car was introduced, and was powered by the same Ford 1.6 litre, 4-cylinder engine as used in the Ford Capri 1600 GT saloon, which developed 86 bhp, compared with 88 bhp produced with the Ford unit in the Series 1 and 2. Furthermore, this would be the last model to incorporate the Thurner designed chassis, which was replaced by a redesigned chassis that was to be used in the forthcoming M-Series of cars. 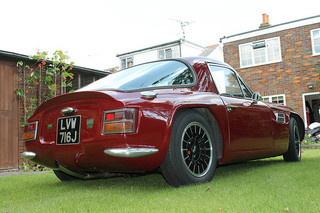 This new chassis featured the use of a slightly thicker gauge of steel tubing than that used previously, as well as the use of square tubing for the first time on a TVR frame. 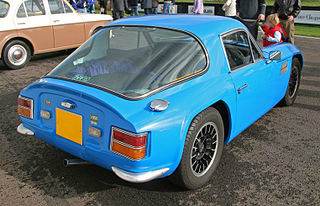 This chassis was similar to the Thurner version, except that the components used were mostly sourced from Triumph. With the Series 3, the heat extraction vents on the bonnet received aeroflow grilles, as used on the Ford Zodiac Mark 4 saloon. The wire wheels were replaced by cast alloy versions, which were now standard equipment. By April 1972, when production ended, a total of 168 units of the Series 3 had been built.